Photo by Patrick Jones. 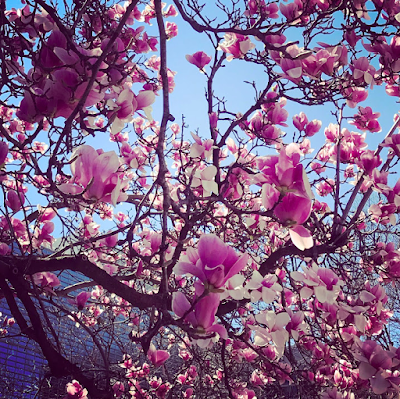 DC, 26 March 2019. Photo by Patrick Jones. 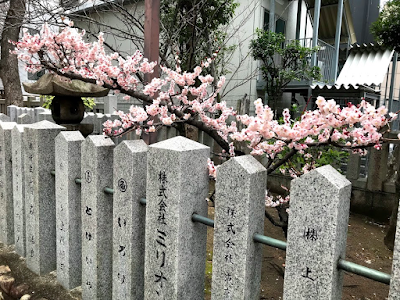 Kobe, Japan, 7 Mar 2019. Photo by Patrick Jones. Invader's AstroBoy near Shibuya, 16 Mar 2019. I'm back now from my trip to Japan. This was the longest I think I've been on, a trip that took me to Los Angeles, then Kobe, Kyoto and Tokyo. 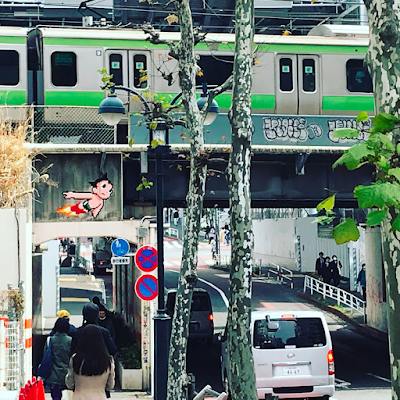 The photo above is a bit of street art by internationally-known artist Invader, taken near Shibuya Crossing in Tokyo. I had a great trip and I will have more photos on the blog. Photo by Patrick Jones. 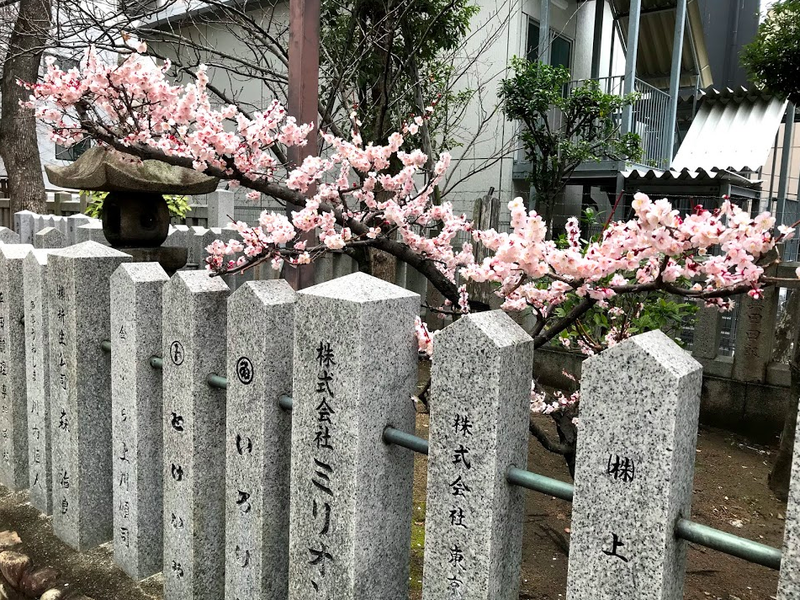 Ikuta Shrine, 7 Mar 2019. I am currently in Japan for meetings. On Thursday I had a chance to walk around Kobe. 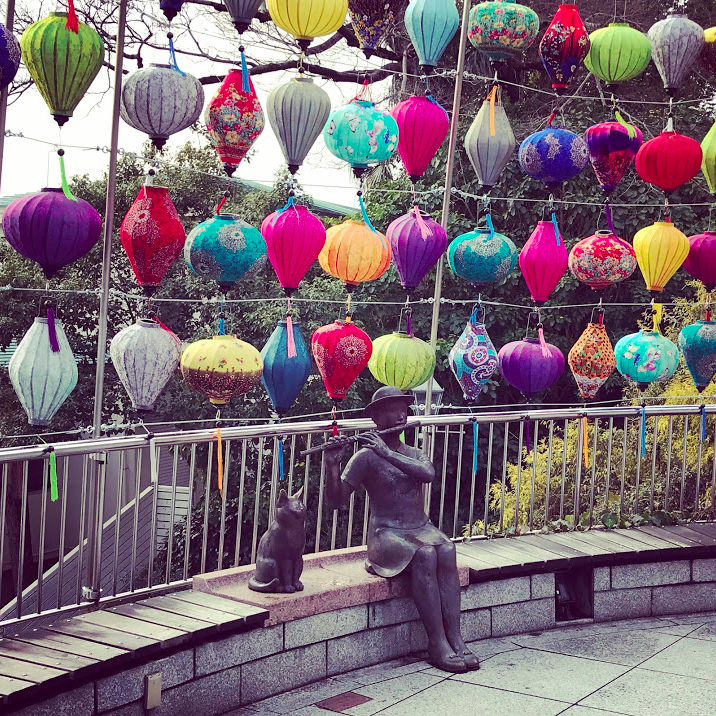 The photo above is from the Ikuta Shrine, which dates back to 201 AD. It is nice to see some early cherry blossoms here. Another recent advancement by Ancestry on their ethnicity estimates in AncestryDNA is the addition of sub-regions within countries. If this is not new, I missed it before. When looking at my Dad's results, I see an update pointing to Central Ireland, specifically the region of Roscommon and Longford. This is an unfamiliar region. All of the known research about my 3rd-great-grandfather John O'Brien had said he came from County Clare. Source: AncestryDNA. 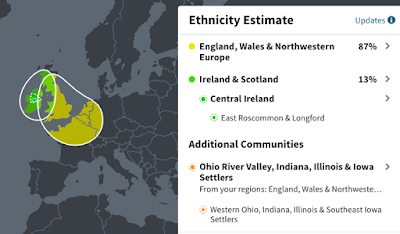 Updated results for my Dad. To be fair, Roscommon & Longford are directly northeast of Limerick, where John likely joined a ship that took him into the British Navy. Perhaps this is a more ancestral region of the family, or the home of another Irish branch, such as the Connor family. 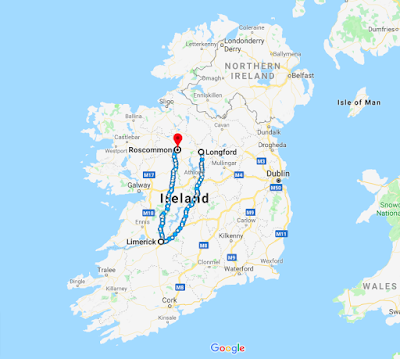 Here's another visual courtesy of Google Maps, showing possible routes from Limerick to Roscommon and Longford. AncestryDNA also shows how many matches also share a region. My Dad currently has 19 matches who share East Roscommon and Longford. When I look at those with a common ancestor, the result lists O'Brien, Martin, Conner/Connor, and our Allman branches of the tree. 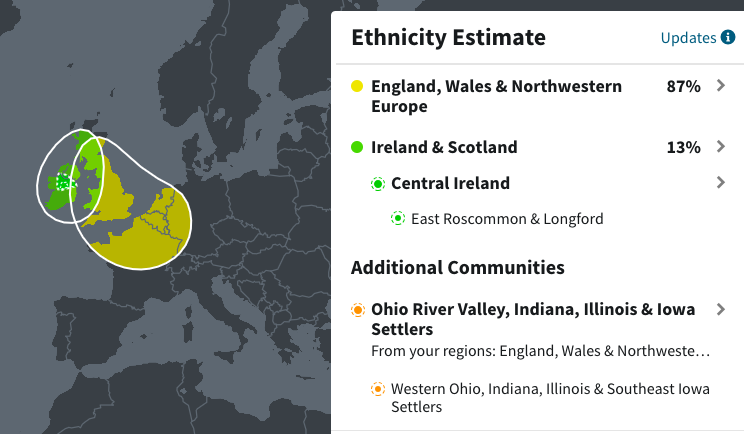 As I currently have a brick wall on the identity of my third-great-grandmother, the mother of John J. O'Brien, there's a whole other set of branches that may also connect to this part of Ireland. Patrick Jones, 2012. Simple theme. Powered by Blogger.